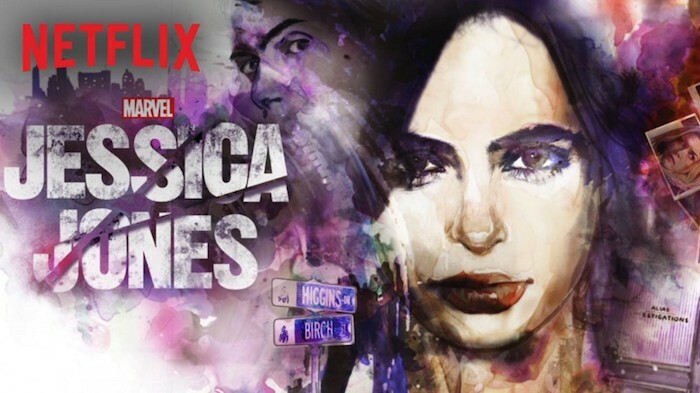 Jessica Jones was a passing Netflix click that quickly turned into an obsession. I had no prior knowledge of the series. I didn’t even attempt a wiki. I imagined another anxious white girl with a heart of gold who saves the day with precious vulnerability and superhuman strength, while I – a Black woman – roll my eyes at all the tired tropes. Kilgrave has the power to make the people around Jessica believe and do anything he wants. We watch as he uses his powers to convince observers the violence he enacted was all a game, or to enlist other members of society to aid in the search and surveillance of his victim. While his power – to compel a victim with the sound of his voice – is made superlative here, don’t abusers have EXACTLY this power? To leverage the power society gives men over the bodies and minds of women and femmes to control them, then create a false narrative that the surrounding world buys into? Yes, it’s a superpower, but one that almost all abusers possess. In one scene, Jessica’s abuser controls and manipulates an entire police station, an institution of male power that women are encouraged to seek solace in, one that’s constantly held up as the solution to domestic and intimate partner violence. The scene makes us ask ourselves what good is increased police presence when patriarchal male socialization has their finger tightly positioned around the trigger. In the end, the victim is just a joke, even if she drops the severed head of her life in the middle of a precinct. If an entire police department can observe her abuse and still not offer belief, where will she seek solace? We watch Jessica have to navigate the world as if everyone is Kilgrave because they could be under his control, and then struggle with the morality of relating to non-‘Kilgraved’ people and allowing them agency. Her experiences with love highlight what it feels like, as someone who has been extremely victimized, to reveal parts of yourself and your journey of survival… parts of yourself that may implicate you and drive people away. Will the things that enabled you to survive in your past stop people from loving you in your present? How much of that story do you owe others, and what parts place both you and others at risk? 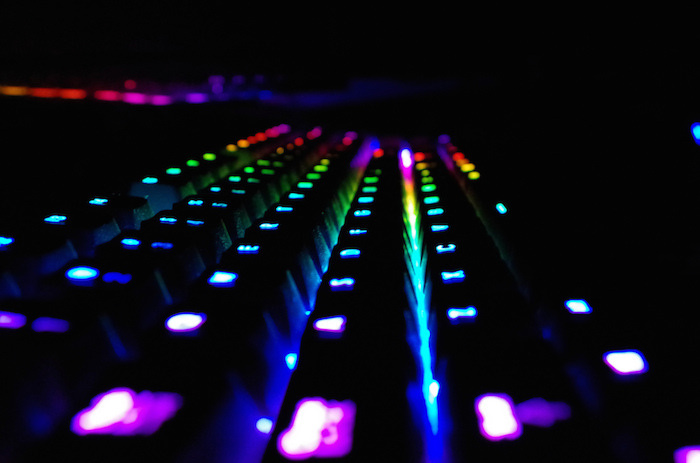 How do you negotiate these things while keeping yourself safe AND being honest enough to make meaningful connections? Here, Jessica Jones shows us friendship in the midst of abuse, through best friend and news anchor Trish Walker. Particularly, we see the writers explore the fine line between helping a victim without overstepping boundaries and endangering them and yourself, while still being fully supportive and allowing their agency. Like Jessica, Trish has gone through her own cycle of abuse with her mother, and we see the writers explore relationships between women here in complicated and loving ways. As they sleuth around the city, they are in a constant process of checking in on and lovingly negotiating boundaries, while keeping each other safe. One thing glaringly missing in Jessica Jones is the presence of Black women, or any WoC beyond flashbacks to advance the plot, until the final two episodes. Is there a place for other narratives of womanhood, not only in this script but in all narratives of abuse? Yet the series nonetheless deals with race in surprising ways: in several scenes, Jessica is made to have conscious understandings of Black hypermasculinity, criminality and pathology. When her neighbor shares how Black people are more vulnerable to others’ perceptions, it invokes not sympathy but an idea of how she can use it for her own ends. The result is several scenes where she pushes Black men into people to create a scene of chaos, using the opportunity to go unseen as she breaks the law. Instead of challenging oppressive systems directly, she uses them to get what she wants and to center her own survival. We see that she has some guilt about it, but is willing to do it for her survival and the survival of other white characters. These scenes demonstrate that, as people marginalized along a spectrum, we often leverage violence against others for our own survival, sometimes with full awareness. But is awareness enough? Or as long as power remains unchallenged, will we always be lured by self-priority, the hierarchy of our own safety and access? Our hero is willing to take on the mindcontrol of Kilgrave, but not those dangers most affecting the two most important men in her life – both Black. She intimately understands that no one will believe her, but capitalizes on the hierarchy of who has enough humanity to be believed — against other marginalized identities. She can finally walk away from the mind of her abuser, but the gravitational pull of racism is still too much. Jessica Jones also explores the feeling that you have to save your abuser to protect others — or even save the world. Perhaps your abuser could also offer a great service to the world, like Kilgrave’s power to compel a less tragic ending to a hostage situation. Perhaps that service seems far more important than a Black trans woman who day-drinks and binges on flan in place of banana bread. All that’s required is your silence, agency and safety in return. 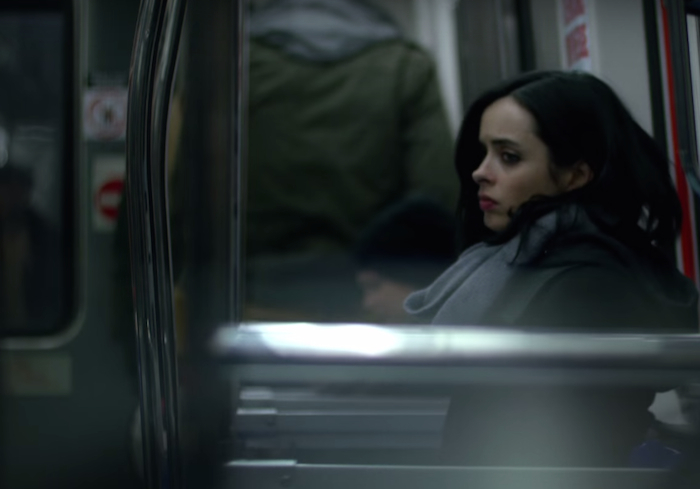 It remains that one of the most powerful themes Jessica Jones explores is how it feels to be able to walk away from your abuser. In one scene, Kilgrave gives Jessica one small moment to escape his mind control, to convince her and himself that she wants to be there with him. As Jessica stands on a ledge with a few seconds to escape and dreams of a white horse carrying her away, we see leaving abuse not as a sudden choice, but a slowly unfolding reality. We also see the tipping point that separates your consciousness and moral rubric from that of your abuser, the thing that wakes you up and allows you to hear your own voice. The moment where you just keep walking, no matter how many times you hear your name. It explores the periods where the only thing between you and your abuser is a space that finally opens up inside of you, one that enables you to fly and wield superhuman strength. But one has to wonder what metaphor is offered, that she has to kill a Black woman in order to finally obtain that freedom. She must literally stop Reva Connors’ heart in a single blow in order to experience her moment of awakening, enabling her to walk away from a cis-heterosexual white male abuser. It brings to mind how white women liberate themselves from unpaid domestic labor by exploiting Black/Latina/Indigenous women, often heal their own sexual trauma by performing activism that harms WoC, and how the white women’s dollar still compares to that of WoC. Like Jessica’s liberation is only possible through the violence against Reva, we see sharp parallels with how liberatory white womanhood often interplays with the lives of WoC. Were the writers consciously aware of these parallels, or was it just the same script playing out in their heads? 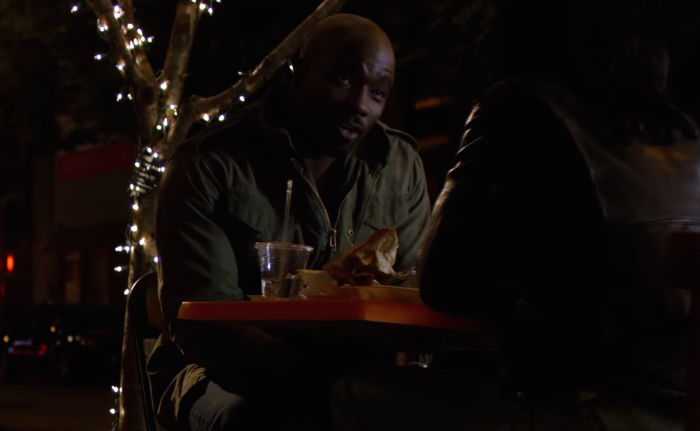 After killing Reva, Jessica goes on to stalk Reva’s husband, Luke Cage, in a compulsive and boundary-violating cycle of guilt. She finally sleeps with him… without disclosing how she was implicated in Reva’s death. She both withholds and actively obstructs him from finding out information about his own life, so that she can continue to get what she needs intimately from him. In dealing with her own demons, Jessica violates an invulnerable Black man and lays him a blow that no other character in their universe has the power to. Was this another nod to a complex understanding of gender, race and power, or another trope surfacing in insidious ways? On the heels of Domestic Violence Awareness Month, Jessica Jones confronts many themes of intimate partner violence. Powerfully, belief stands out as a central theme of the series, as in the lives of domestic violence victims everywhere. Much of the plot centers Jessica trying to find some way to make the world around her believe what is happening to her, even as the same violence wreaks havoc on the entire city. What happens when no one believes you? When you try to open up to a partner about your experiences after intimacy, but they dismiss you? Or when callers to every radio station call you and every other victim crazy? When you can never be beyond the reach of your abuser and not even Hong Kong is far enough away? What is it like to move across oceans to escape his voice, only for his presence to be in every city? The real rub is that Kilgrave exists everywhere. He is the voice of patriarchy that moves us with a word. 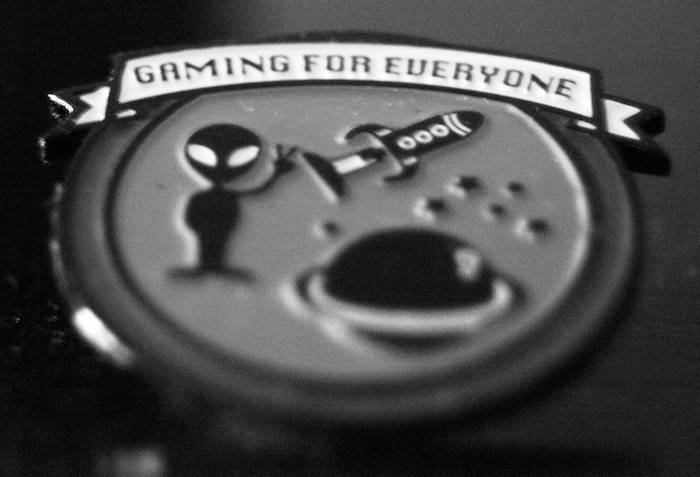 Causes us to harm ourselves and the ones we love. Causes us to experience extreme guilt and shame over what we do for our own survival. And yet is what we often emulate for our own safety and access. As victims navigate power, redemption, forgiveness, and complex feelings of shame and guilt, will we – like Jessica – become both the hero and villain of our stories, and ultimately survive? And beyond survival, is there hope of happiness?